Holding a photograph in your hand is a special and intimate treat, and it is especially rare these days, as so many pictures are stored and shared digitally instead of in an album. 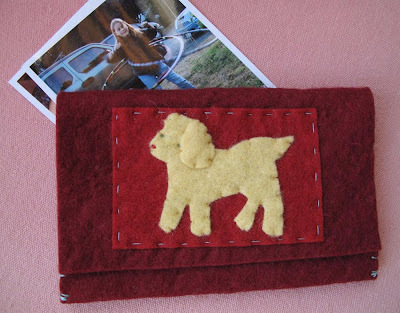 A felt photo pocket, like the one shown above, is a lovely way to keep a special stash of photos on hand. It makes a perfect gift for any family member or friend who appreciates this old fashioned pleasure. 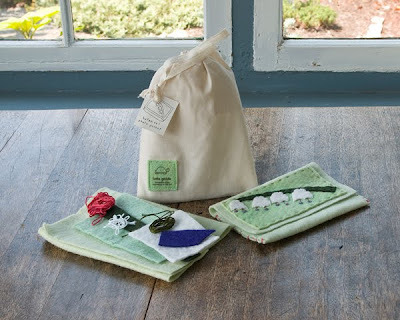 The complete instructions for how to make a felt photo pocket can be found in Kata Golda's Hand-stitched Felt — and if you need wool felt and thread, I now offer a photo pocket supplies kit to go along with the book, in both the dog design and a botanical design (show below). But if you're better at learning hands-on, then join me at Etsy's Craft Night on Monday, October 19 and I'll show you how to make your own felt photo pocket. You can stop by the Etsy Labs in Brooklyn anytime on Oct. 19 between 4-8 p.m. ET at 55 Washington Street, Suite 512 (Brooklyn, New York) — or you can watch the live demo online, in Etsy's Virtual Labs, at 5 p.m. ET that day. 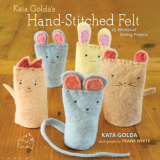 Would you like a free copy of Kata Golda's Hand-stitched Felt? 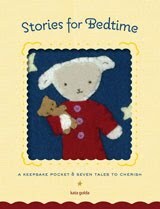 Visit STC Craft's blog and watch the video they made using my felt mouse finger puppets. When it's done, post a comment you'll be entered to win a copy of my craft book. 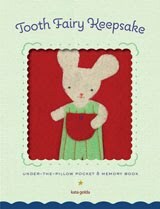 One winner will be chosen at random; contest ends October 30, 2009.